nationwide tour this weekend, with part brand owner, Christina Milian in Houston, TX. 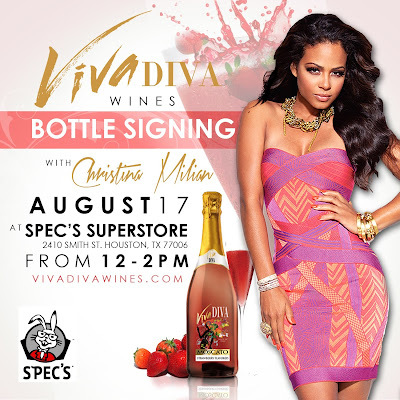 Houston was just the first of many locations planned on the Viva Diva Wines Nationwide Tour and the success of the bottle signing speaks volumes on what’s to come for Milian and her new wine company, Viva Diva Wines. The next stop on the tour is Friday, September 13 in Philadelphia, PA.